This charming oil painting is by British female artist Agnes L Reid. 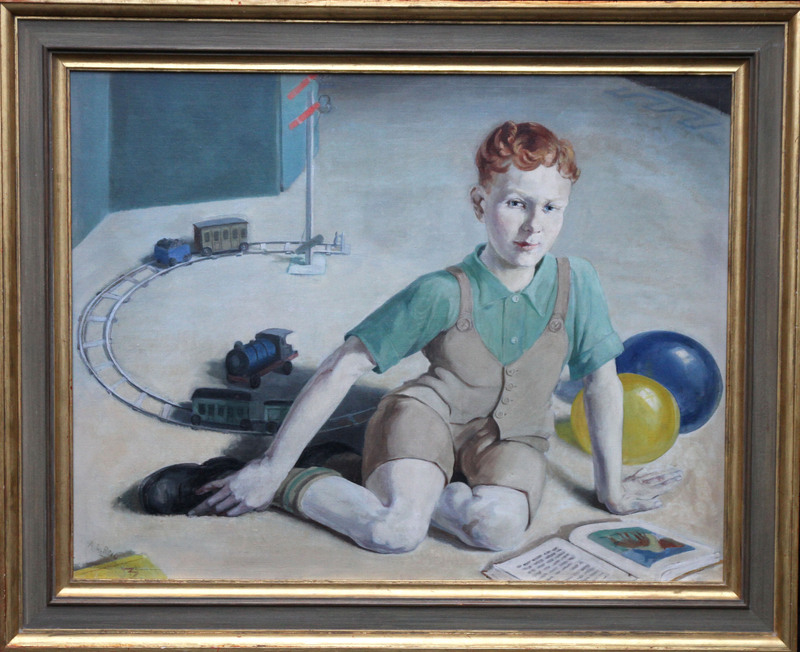 Painted circa 1920 the painting is of a little boy playing on the floor with his train set, with balloons and a book. Housed in a complimentary frame, 44 inches by 36 inches and in good condition. Agnes L Reid (1902 - 1972) also worked as an artist under the name Mrs James Jardine. She was a portrait and figure painter in oils and watercolour landscape painter and etcher. She exhibited between 1925-1935 when based in Scotland. 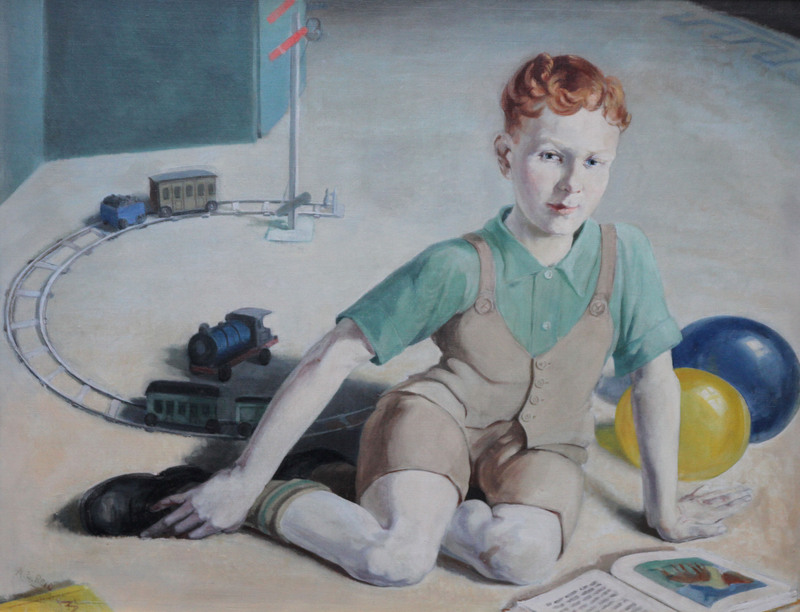 She exhibited 6 paintings at the Royal Scottish Academy.